When you mention strawberries and bananas you immediately think of smoothies, which isn’t surprising. These two fruits are the foundation for a great number of smoothie recipes because of their sweet flavor and creamy texture. 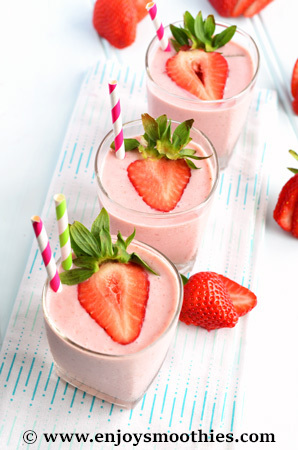 A strawberry banana yogurt smoothie has become something of a classic. The sweet flavor of strawberries perfectly complements the delicate sweetness of the bananas. 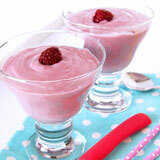 Bananas are also a natural smoothie thickener, but when added to yogurt, you have an ultra-creamy smoothie. 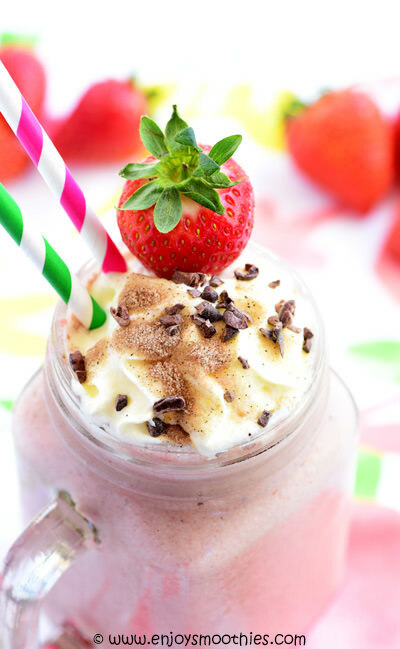 This is a great smoothie for kids. Most kids love the classic strawberry banana drink. The addition of yogurt turns this into a satisfying tummy-filler guaranteed to keep them full for hours as well as providing plenty of vitamins, minerals and protein for those growing bodies and minds. Bananas deliver a bit hit nutrition-wise, containing good amounts of fiber, antioxidants, minerals and vitamins. They pack a whopping 400 mg of potassium, as well as being good sources of vitamin B6, vitamin C, copper, magnesium and manganese. Strawberries are excellent sources of vitamin C, as well as vitamin A, vitamin E and the B-complex group of vitamins. They are also antioxidant-rich, containing phytochemicals such as anthocyanins and ellagic acid. These are known to protect against cancer, aging, inflammation and neurological diseases. 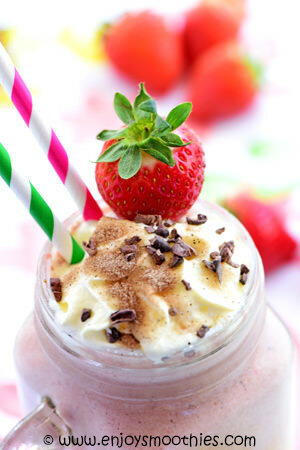 A truly healthy drink disguised as a thick shake. The kids will just love it. Because strawberries and bananas together usually need extra sweetening, I have gone for grapes rather than the usual sweeteners. Grapes are a low GI food, and are low in fat and calories. They make the perfect natural sweetener. 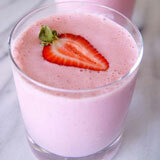 Blend together the banana, strawberries, red grapes, yogurt and almond milk until thick and creamy. Pour into your favorite glasses, drink and enjoy. A delicious chocolate milkshake without the sugar. 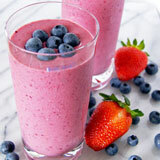 This smoothie is sweetened with some pineapple, rather than sugar or other sweeteners. The only other thing I’ve added is some vanilla which somehow seems to balance out all the different flavors. Totally yum. 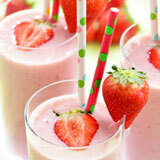 Add the banana, strawberries, pineapple, yogurt, cacao, almond milk and vanilla to your blender. Whizz everything together until you have a thick, frothy drink. This makes two very generous glasses, certainly enough to share around.